Mothballs smell can linger after you remove your clothes from storage; it isn't a pleasant smell -- and it can actually be dangerous -- but it won't last. The odor is there because microscopic mothball particles are still in the clothing. Once you get these particles out, the smell will go away. Both naphthalene and paradichlorobenzene sublimate, which means they vaporize from the solid state without first becoming liquid. As long as even a small particle of mothball remains in your clothing, you'll smell the characteristic odor, and it's common for such particles to rub off into your clothing when you pack them. The best way to get small bits of mothball from fabric depends on what type of fabric it is, and there are several strategies. You can shake them out, apply heat or simply let air circulate and wait for them to finish sublimating. It's also possible to mask the smell with baby powder, but that's a short-term fix for emergency situations that may prolong the problem by hindering sublimation. This strategy is a long shot, but it's worth a try, especially for light and fragile fabric, like silk. Take the fabric outside and shake it vigorously into the breeze. It may also be worth a try to beat robust items, like carpeting, leather or fur apparel. Put the fabric in the dryer, choose a safe heat setting and run the dryer for an hour. 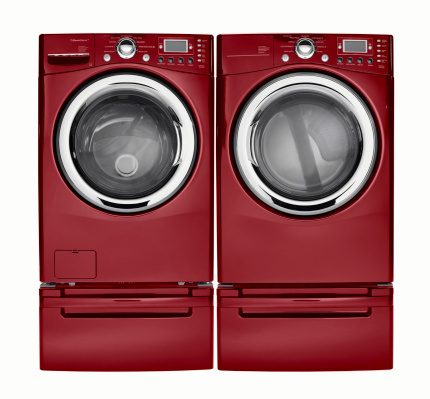 Heat increases the sublimation rate, and the air circulating through the dryer helps dissipate the odor. As an alternative for items you can't put in the dryer, such as leather jackets or fur coats, hang the clothing on a line and let the sun heat it, or provide the heat yourself with a hair dryer. One laundry professional recommends soaking your mothball-tainted clothing in a solution of water and vinegar. You can also add vinegar to the washing machine water and wash the clothes as you normally would. Vinegar is acidic and may increase the rate of sublimation, and the mechanical action of the washing machine can only help in the removal of the tiny particles. Leaving your clothing in a well-ventilated space and just waiting for the mothballs to finish sublimating is a strategy that will work, but because you can't see the particles and don't know how many there are or how large they are, there's no way to tell how long it will take. The key is to provide air circulation -- not only to dissipate the odors so they don't bother you, but to hasten sublimation.